Twenty-seven outstanding South Australian Certificate of Education students received The Governor of South Australia Commendation, recognised for their achievements in academics as well as their contributions to community, citizenship and the arts. SACE Board Acting Chief Executive, Jan Raymond, has congratulated the students, “The Governor of South Australia commendations not only recognise outstanding academic achievements but their commitment to extracurricular activities during one of the busiest years of their lives,” Ms Raymond said. Recipients of the Governor of South Australia Commendation will be invited to the SACE Merit Ceremony on 6th February 2018. A panel comprising the Governor, His Excellency the Honourable Hieu Van Le AC, and representatives from the school, vocational education and training, and business sectors determine which students receive the Governor’s Commendation. In addition, Governor of South Australia Commendations are also awarded to the Aboriginal or Torres Strait Islander student with the best overall performance in the SACE, as well the student with intellectual disabilities who demonstrated outstanding achievement through SACE modified subjects. Cassandra has achieved six Merits in Accounting, Biology, Chemistry, Mathematical Studies, Psychology, and the Research Project. Jodie achieved six Merits in the Research Project, Physics, Specialist Mathematics, Performance Special Study, Mathematical Studies, and Chemistry. Benjamin achieved five Merits in the Research Project, Physics, Specialist Mathematics, Mathematical Methods and Chemistry. Ben was voted in as a Year 12 school leader by his peers who recognised his leadership qualities. He has been an integral part of the senior leadership team focusing on supporting a range of social justice issues across the secondary and primary campuses. He recently attended the 2017 National Youth Science Forum, where he participated in sessions on entrepreneurship and critical thinking. Karen achieved five Merits in the Research Project, Specialist Mathematics, Mathematical Methods, English as an Additional Language, and Chemistry. Nicholas achieved five Merits in Visual Arts – Arts, Modern History, English Literary Studies, Classical Studies, and Australian and International Politics. Catherine achieved a Merit for her Research Project, which she completed as a Year 11 student. 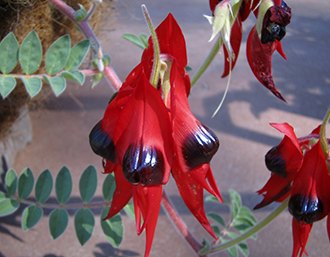 Since 2006 Catherine has been a member of the Australian Plants Society and is the only junior member of its Northern Yorke Peninsula sub-branch. She has been involved in revegetation programs, workshops and working bees, annual plant sales and planning field trips. Catherine is also a senior member of the local dance group, Karen Lee Dance Academy, and is a vital member of the Kadina Memorial Royal Adelaide Agricultural Show. Clare achieved Merits for her Research Project and Society and Culture. Clare has led a number of justice initiatives, including the Fair Trade Fortnight Café, Walk Together for Refugees, anti-letter and environmental awareness campaigns. She plays AFL football, netball, volley ball and touch football for the college, and has coached primary volleyball and touch football teams. Clare was presented with a Gold Award for her achievements through the Duke of Edinburgh Awards. Claudia achieved Merits for the Research Project, Economics and Biology. Claudia is involved in a wide range of co-curricular activities. She attended the United Nations Youth National Conference and received the ADF Long Tan Youth Leadership and Teamwork Award. She has been a state finalist in the Legacy public speaking competition twice; a semi-finalist in the Rostrum public speaking competition; national finalist in the UN Youth Voice Public Speaking Competition, and a national finalist in the plain English speaking competition. Another of her interests is the environment. She works at Hope's Cafe, which aims to support refugees in the local community. Eliza achieved Merits for Psychology and Legal Studies. Eliza grew up on a farm in the Southern Flinders Ranges and chose to uproot herself from her close-knit community and move to Eynesbury at the beginning of Year 11 to fulfil her learning potential and expand her experiences. Outside of school, Eliza has been involved in a variety of community events and organisations. She completed a Netball Australia Foundation Coaching Course and received a Netball Australia Foundation Umpiring Certificate when she was 15, which she used to coach a junior netball team and umpire as a volunteer for the BMW netball club. Ellie captains the Under 17s netball team at Kangaroo Inn in the South East of South Australia. With her family, Ellie helped to fundraise for an orphanage in Vietnam, and has represented Kangaroo Inn Area School at the Youth Advisory Council. For her Research Project, Ellie recycled materials into new and beautiful objects, and she continues to create art which she sells at local markets, donating proceeds to charity. Ellie also works at a beach cafe during the summer and weekends. Flynn is an outstanding role model and has demonstrated this in his time at Rostrevor. This year he has been the College Head Prefect, spoken at public forums, and worked with fellow prefects, senior college leaders and younger students in the Junior School. He was awarded a lifetime leadership and service award for his contributions and outstanding dedication to the college. Flynn was a member of the 2016 Indian Pilgrimage where he spent close to a month working with marginalised people in various cities in India. Hannah has been a positive role model to students during her time as a Deputy Head Girl. She has challenged herself academically out of school, attending the UNYA State Conference twice, participated in many mathematics competitions and travelled to France. She mentors, coaches and leads other through the College’s sporting and dance programs, taking part in Soccer, Touch Football, senior choir, debating, and the College’s dance performances. Harrison spent many hours peer tutoring younger students in Science and Mathematics. He has represented his school in athletics and cross country and won many awards in these sports. In 2017 he finished third in the Cross Country National Championships. Harrison won the Australian Defence Force Academy Education award, which is presented to Year 12 students in recognition of leadership potential and sporting achievements. As House Captain and a Peer Support Leader, Ingrid has helped to mentor others in and outside the classroom. Ingrid has volunteered for the Leveda Art program and worked with Lighthouse Disability, creating art murals for the charity’s community houses. Isabelle was awarded a Marta Sved Scholarship for studies in Mathematics, given by Adelaide University for an undergraduate female student looking to study Mathematical Sciences. Isabelle is a talented musician and provides music concerts to nursing homes in Henley Beach for dementia patients. In addition, Isabelle is a 1st degree black belt in Taekwondo. Jake is an empathetic, caring leader who is respected by staff and students. Jake spearheaded a new initiative by working with student leaders from another school on a joint presentation on climate change. He also presented an important talk to the school about the role of boys and men in preventing domestic violence. Outside of school, Jake works with disadvantaged youth, which he does independently of family and his own time. Joshua’s many contributions to school life were acknowledged by his peers when he was elected to the position of House Captain for 2017. This role has seen him further serve his House and College by presenting at house and school assemblies, masses and liturgies. This year, Joshua showed great initiative in proposing, organising, running and refereeing the College’s first lunchtime 7-a-side soccer competition. He starred as Corny Collins in the college production of Hairspray and represented the school as the drummer in the Xavier College Little Big Band. Laura has been awarded the Governor of South Australia Commendation – Aboriginal Student SACE Excellence Award and the Governor of South Australia Commendation — Excellence Award. Her Stage 2 subjects were the Research Project, Society and Culture, General Mathematics, Legal Studies, English Literary Studies, and Biology. Laura led her school community in a genuine and respectful way to raise awareness of the importance of reconciliation. This led to the installation of a new flag pole and the raising of the Aboriginal flag at the school for the first time in the 133-year history of the school. Max has represented Immanuel College in the Science and Engineering Challenge, and represented South Australia at the national championships in Newcastle, New South Wales. He has also learnt the Kaurna language, enabling him to do the acknowledgement of Country in the Kaurna language. He has been a leader in the Cancer Council Relay for Life, and trained to be a Cancer Council Student Ambassador. Max has been a member of the ASMS SA Schools Space Mission team known as ‘Project Toad’. As the most senior student in the team, he has taken on a significant leadership role. He was a member of the student group that spoke with Paige Burton, the UN Youth Representative to the UN fact finding mission around Australia regarding students’ views on a range of issues affecting young people to be reported to the UN Council in 2018. Morgan has been extensively involved in voluntary work at school. He ran the school theatre, The Forge, where he acted as student Head Technician, and gave up his time to support productions. He has trained and mentored younger students through the Drama Theatre Technology program, as well as volunteering at Rose Park Primary School, helping them develop multimedia content for their annual music showcases over the past five years. Sankkirtana undertook her Research Project in Year 11 gaining an A+ with merit. She has been involved in Duke of Edinburgh and selflessly gives up her time in service activities. She was elected as House Captain this year, and as a member of the School Leadership Team she has been active in organising events for the school such as the ‘Walk a Mile in my Shoes’ fundraiser. She is also the student representative on the School’s Well-being Committee- made up of senior staff and a parent representative. Sebastian is a member of the Seeds Uniting Church, where he is youth leader for over 1000 people. He volunteers his time as a musician and sound engineer. He is also involved in Riding for the Disabled Australia, where he collects, tracks, rides, and leads the caring of the horses every Saturday. Simon enjoys challenges and solving complex problems through a process of enquiry and research. He has volunteered for the International Astronautical Congress, at the Adelaide Convention Centre, raised money for the Playford Rotary Club, been a translator and interpreter for family friends, and was selected to participate in the SAPOL Youth Leadership camp. He has also coached the school soccer team for two years. Sophie is a talented musician who was a member of the school’s concert band concert choir. She also contributed to the school's lacrosse and tennis programs. This year Sophie was appointed as a Prefect and as Debating and Public Speaking champion. In her own time, Sophie volunteers at the Mary Magdalene Centre, where she interacts with patrons and helps serve food to some of Adelaide’s most marginalised people. Sonia is a dedicated member of the Nuriootpa Town Band and is involved in numerous performances and pageant, and plays the clarinet for her church. She participates in an extensive range of extra-curricular activities, including the role of secretary of her local church youth group. Stuart is a Reconciliation Ambassador, and co-led a public meeting to honour members of the Stolen Generation. He is a strong advocate for the AWARE leadership team and environmental initiatives, and has helped his teachers to understand the importance of student representation. Peta has been awarded the Governor of South Australia Commendation – Excellence in Modified SACE Award. Peta has undertaken voluntary work to support her career pathway of working in aged care. She worked one day a week during Years 10, 11 and 12 at the Tanunda Lutheran Home Inc. Assisted Living Facility, learning a range of skills. She has an affinity to work with the elderly and particularly in aged care, and hopes to go on to further study and become an enrolled nurse.